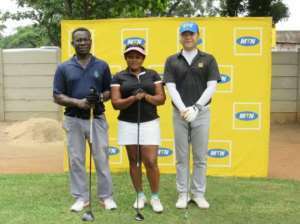 MTN Ghana, indisputably the leading corporate entity for golf tournaments in the country kicks of the 2019 MTN Invitational Golf Tournaments at the Bogoso Golf Club, this Saturday, April 13. The MTN Invitational Tournaments previously known as the CEO's Invitational Tournament was started about six years ago and interestingly although the event has travelled across the various regions, including Western Region, this the first time in as many years the event is visiting Bogoso. Themed ''MTN Business, your partner for Enterprise solutions and more, over 70 golfers from various clubs across the nation has confirmed their participation. Golf has been and continues to be one of the platforms the leading telephony company use to engage with Enterprise and high-value customers to share ideas, network and as well reward customer loyalty. Top of range prizes for the tournament includes high-value MTN devices, goodies as well as trophies. According to the organisers there other surprises awaiting participants including what they called the ''wow moment ''.